The UK may be Brexit obsessed but, as drama unfolded in Westminster last week, focus at the Salon du Dessin (26 March – 1 April) in Paris was very much on meeting clients and selling art. Martin Grässle, a Munich-based dealer who was sharing a stand with Florian Härb of London, will take part in London Art Week this summer and, although uncertain of Brexit’s likely impact, he was relatively relaxed on the subject. However, the exhibitors were there to sell art, not talk politics. 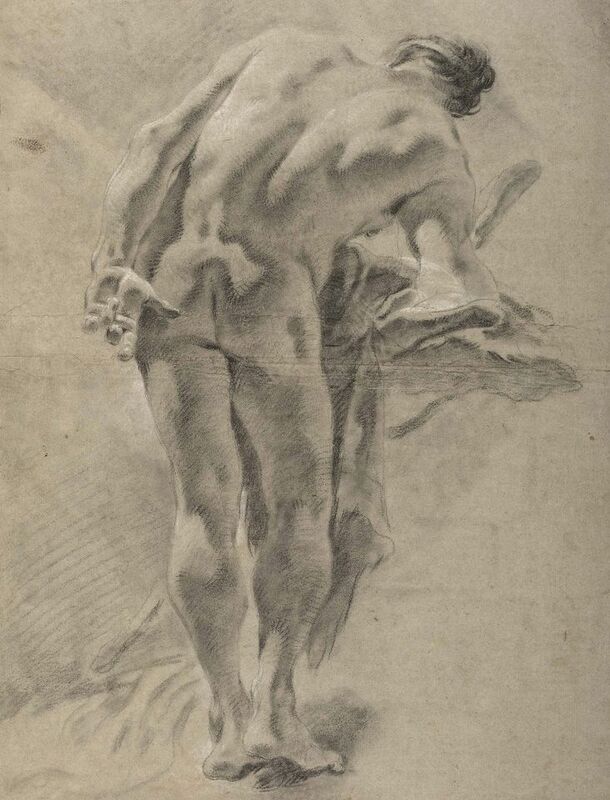 Initial sales pointed to a particular strength in the 17th and 18th century Old Master drawings market, with 19th century figures like Géricault and Delacroix adding to the mix. Works by Tiepolo (€70,000) and Vouet (€68,000) found early buyers with Galerie Tarantino of Paris. De Bayser took several hundred thousand euros for a self-portrait by Charles-Antoine Coypel among a dozen sales, while Galerie Paul Proutéhad five red dots by 4pm on day one. The Lancz Gallery of Brussels, a new exhibitor, offered a €1m Leon Spillaert and works by Félix De Boeck and James Ensor, and sold at least 15 pieces. Cauchemarà Rügen, a strikingly surreal and nightmarish but accomplished 1918 drawing by Richard Müller, on the stand of Martin Moeller of Hamburg, sold early to theArt Institute of Chicago. Moeller’s large selection of works by Adolph Von Menzel was much admired and he sold at least eight drawings by Menzel and Müller, attracting French, American and Swiss buyers. Grässle and Härb did deals with the Weimar museum and the Kunsthalle in Hamburg, as well as selling to American and European collectors. Terrades sold 14 drawings and Talabardon & Gautier ten. Art Cuéllar Nathan of Zurich sold their star exhibit to a European collector. An arresting anatomical study of a left arm by Rubens dating to 1608-10, the gallery had acquired it from the Chatsworth collection in 1987. 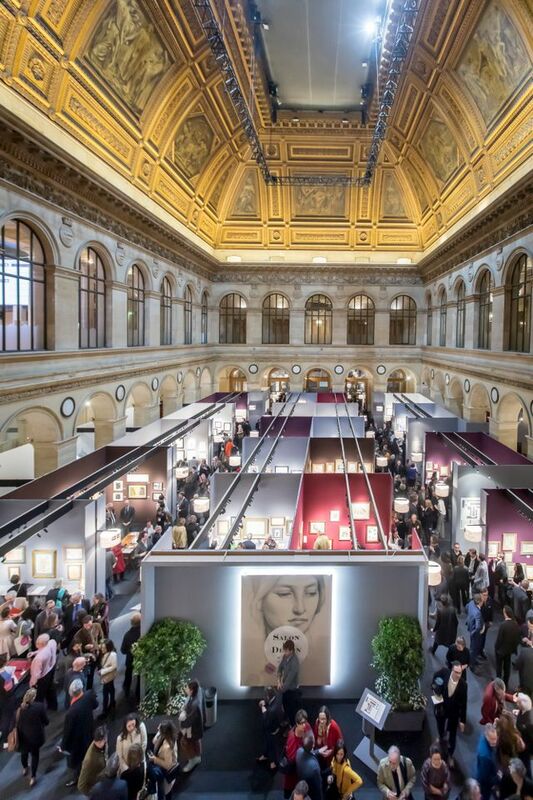 “This fair is a hugely important focus, not just for the drawings week in Paris now, but also for this sector of the market, and attracts buyers from the US and all over Europe,” Salomon Cuéllar said. Jean-Luc Baroni of London and EmmanuelMarty de Cambiaire of France both sold half their stand by day two. Sales included a pair of Cubist drawings of caryatids by Modigliani, two Manet drawings, a Watteau sketch, a drawing by Simon Vouet, a study for St Luke by Domenichino and an ink and wash study of a woman for The Holy Well, by Sir William Orpen. With the organisers counting 10,000 visitors by Saturday evening, Bertrand Gautier, a dealer who also sits on the Salon’s organising committee, was confident there were more curators present than at TEFAF Maastricht – an ambitious claim, but resonant with the packed aisles.